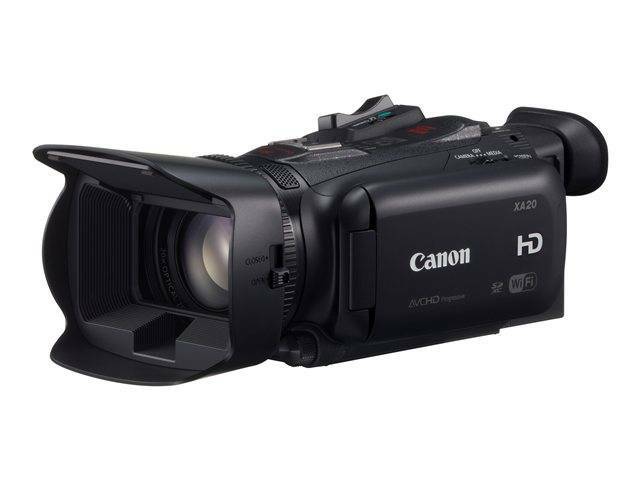 The XA20 is a compact, "run-and-gun" HD camcorder with an impressive optical performance from a powerful Genuine Canon 20x HD Video Lens with a 8-blade circular aperture, capable of focusing down to just 23.6-inch (60 cm). Other features include a 3.5-inch OLED touch panel display with the equivalent of 1.23 million dots of resolution, tiltable electronic viewfinder, multiple HD/SD recording rates - including 24p for a "cinematic" look - together with a choice of industry-standard MP4 (up to 35 Mbps) and AVCHD (up to 28 Mbps) codecs. 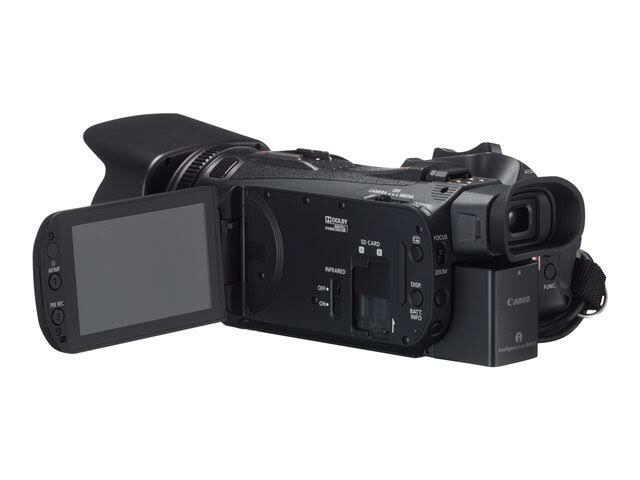 The high image quality and recording versatility make the XA20 ideal for independent and documentary filmmaking, as well as event videography and educational institutions. 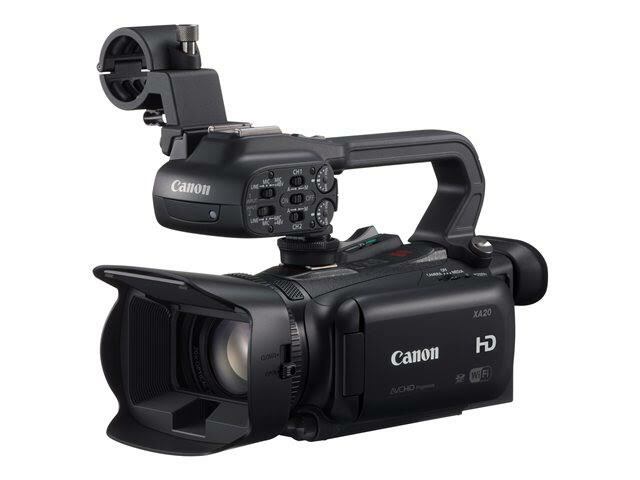 In addition to reducing horizontal and vertical shaking, five-axis SuperRange optical image stabilization eliminates rolling and other artifacts, for sharper images no matter how the camcorder is moved. A automatic correction circuit can substantially reduce image distortion, thereby producing better-looking videos. 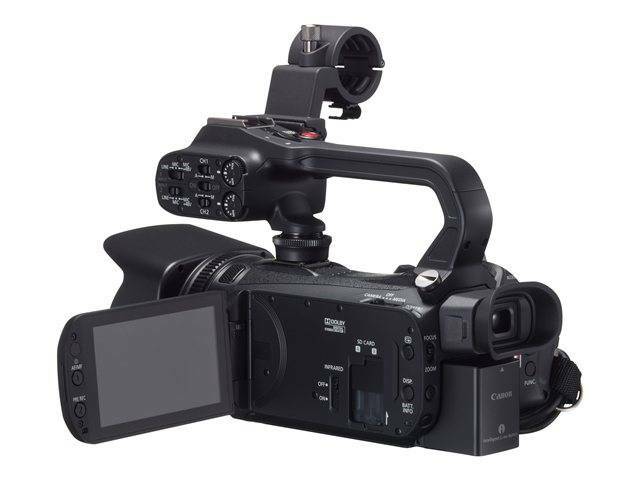 A detachable handle offers increased control functionality, with a built-in microphone holder and XLR-format audio inputs. Infrared shooting with little to zero ambient light offers additional flexibility during, for example, surveillance and wildlife projects; the detachable handle also includes an IR light. Dual-band, built-in Wi-Fi technology allows easy FTP file transfer and upload to the Internet. 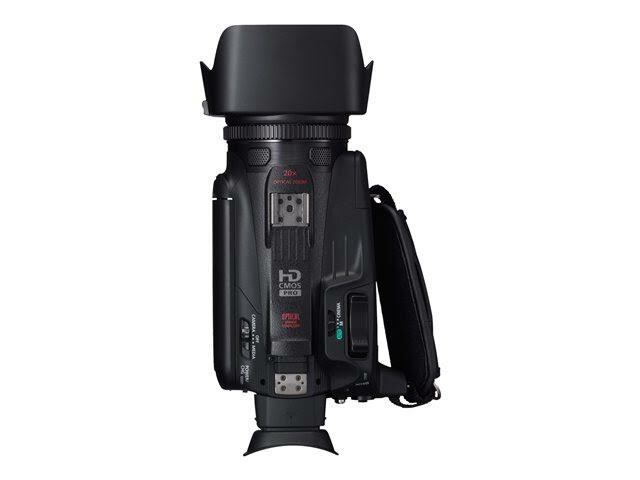 And intelligent lithium batteries report remaining power and battery-wear levels in one-minute increments to the camcorder, thereby taking the guesswork out of battery management.